If my last post “3 Ways to Add Video to your Content Marketing Mix” did its job, you’ve already decided that your organisation must start using video to engage your audiences. It helps generate new leads and nurture the ones you have; and it’s measurable, so you know whether your video content is working. 1. Product. What stories do you want to tell (not sell)? For most organisations, there’s no shortage of potential video content. Think about your audience and what you want them to know about you. If there’s only one rule to stick by – stay away from sounding too sales-y. If consumers feel they are watching a sales pitch, they will probably leave immediately. Fun campaign videos can bring pain points to life and humanise your brand. Product demo videos can quickly educate audiences and build trust in your offers. Interviews with thought leaders and customers can inspire audiences and quickly build trust in not only what you do but also why you do it. And as buyers engage directly with your sales team, personalised videos can help bring the human element back into the digital selling process. 2. Price. Everyone worries about budget. Every organisation is trying to do more with less. However, you don’t have to spend tens of thousands to hire a dedicated video team. If you can only invest in one dedicated hire, a videographer is a good place to start. A strong videographer can shoot and edit all of your footage and produce at least one short video per week from about $1,200. Quality is important, but so is authenticity. Your viewers will be more impressed by your smart, funny and helpful videos than whether the lighting is just right. 3. Place. Where people can view your content? First and foremost identify the key platforms for your video distribution plan. The best strategy is to use multiple channels: your website, YouTube, Facebook, and e-newsletters to reach targeted audiences. And always explore new channels for your video marketing efforts. YouTube is great because it performs well in Google search results. Plus, it’s free. But you sacrifice control. YouTube could refer your viewer to unrelated or, worse, competitive content. Make your phrases are specific; you want to use your keywords in your title, tags and descriptions. Example of key-wording for our client Corcorz. Facebook’s biggest strength is their community. They know the ins and outs their community, and work on ‘interest choice’, which means Facebook targets interest-based content to the community. 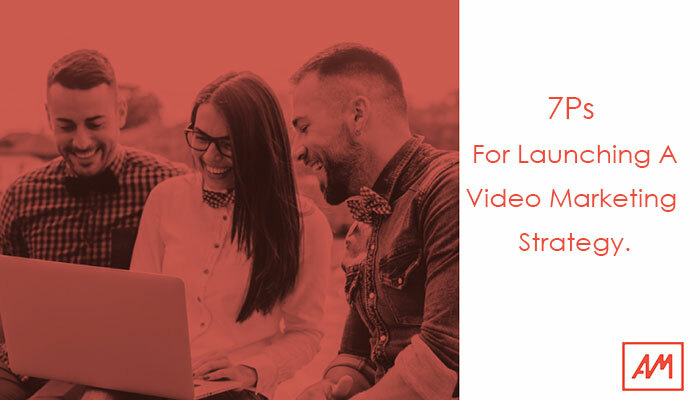 Create video content that is tailored to fit your dedicated fan base and give them something to look forward to and respond to, rather than video content that is meant for a general audience. 4. Promotion. Make the first and last 10seconds count. Did you know that 20% of your viewers will close your video after 10 seconds or less? Your video needs to be brief and too the point. Use your headline and video description to inform viewers what to expect. And if your viewer to the finish line, reward them with a call-to-action. This can be visiting your site, signing up for a newsletter, leaving a comment, or offering to take up a special promotion. If you have their attention, now is the time to take advantage of it. As mentioned in my previous post, with interactive video, you do not have to wait to the end of the video to engage with your audience. 5. People. Not just Products. 6. Process. Keep Videos Short. Unfortunately, viewers have short attention spans so you have to keep it short, especially in the beginning. As you build your video library and measure viewership, you’ll start to see where there is demand for longer in-depth videos. 7. Performance. Prioritise Measurements & Analytics. If you valued this article, please share via your Twitter, LinkedIn, and Facebook. For more articles follow me on LinkedIn.